Even with the guidance of the Statement of Student Rights and Responsibilities (Statement) and the Community Living Standards (CLS) in place, conflicts will occur in the community. Though challenging, these conflicts present an opportunity to advance University Housing's mission to create and sustain learning-centered residential communities. The special environment of University Housing allows the community to take advantage of this opportunity through an approach known as restorative practices. Restorative Practices represents a philosophy and a process that acknowledges that when a person does harm, it affects the person(s) they hurt, the community and themselves. It is a process that brings community members together to build community and address any harm caused within that community. Restorative Practices can range from the informal to formal as different behavior arises in a community. Restorative Justice (RJ) is one formal method of addressing harm and impact within the residence hall community. When using restorative justice measures, an attempt is made to repair the harm caused by one person to another and to the community so that order may be restored for everyone . The Housing Student Conduct and Conflict Resolution (HSCR) Process has been developed with this philosophy in mind. The process strives to resolve conflicts by promoting understanding and appreciation of the community standards, encouraging residents to take responsibility for their own actions, ownership for their community, and engage with all the affected community members in the resolution. Formal conduct meetings with housing professional staff, community circles, group discussions and appeals conducted as part of the HSCR Process are not courts of law, but forums for education and harm restoration. Therefore, it is inappropriate to apply many of the rules of civil or criminal hearings. However, a resident in violation of not only the CLS, but of the law as well, will also be accountable to both legal authorities and the University. The HSCR Process and University processes will normally proceed notwithstanding any civil or criminal hearing. The HSCR Process uses a preponderance of evidence as the standard of proof. It should be noted that University Housing recognizes that each situation is unique, and conflicts will be handled on a case-by-case basis. For more information about the HSCR Process, please contact HSCRprocess@umich.edu. When possible violations of the Statement of Student Rights and Responsibilities (Statement) or the Community Living Standards (CLS) are observed, they are generally documented by residents, staff members and/or Housing Security/DPSS officers. The information report is submitted to appropriate University Housing Staff for review. The alleged behavior presents a potential threat of danger to persons or property. The alleged behavior presents potential imminent danger to persons or property. The alleged behavior is of a repetitive nature and the accused student is not responding to local process and/or restorative measures. The alleged behavior involves harassment (racial, sexual or other) and indicates a potential impact on the campus-wide climate. The alleged behavior indicates that the responding student may need to be put on notice that repetition could result in suspension or expulsion. The alleged behavior occurs outside of University Housing or the responding student is not a member of the University Housing community. When appropriate, an adaptable conflict resolution (ACR) may be offered as the first and fairest method to resolve many situations. Structured dialoguing, conflict coaching and community response may be used as the ACR process, but mediation is the most common. Mediation is an interactive problem-solving process in which an impartial person facilitates communication between parties to promote reconciliation, settlement or understanding among them. A successfully fulfilled ACR process will typically result in a written agreement, which will become a binding portion of the housing contract for those involved. It will also likely eliminate the need for further action within the HSCR Process. Incidents that result in alleged violations must be addressed before residents depart from Housing at the end of any term. Residents who fail to respond to outstanding Housing conflicts may be denied the opportunity to return for the next term and the case will be reviewed and heard in their absence by their Hall Director. Residents involved in such incidents, and who are not planning to return to University Housing, may have their cases referred to the Office of Student Conflict Resolution. 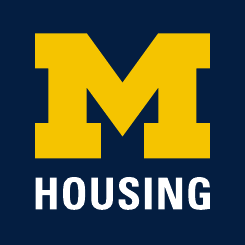 Violations allegedly committed by non-residents who are University of Michigan students may also result in a referral to OSCR. A community circle is a type of alternative conflict resolution that brings the resident together with all the other affected parties to talk about the incident: the resident acknowledges responsibility and talks about how the incident unfolded and the other parties explain the impact on the community. Together, the resident and other parties develop an agreement that reflects ways the resident can repair the harm done and achieve restored status within the community. The resident is responsible for carrying out the agreement and failure to do so will result in the case being referred back to the arbitration officer for assignment of restorative measures. If the resident completes the community circle and fulfills the agreement successfully, the resident will not incur a conduct record. The information about the case will be kept for statistical purposes only. Community Circles are typically held for students involved in an incident with others for the first time and are determined by HSCR professional staff. In the case that the Associate Director of Housing Student Conduct and Conflict or designee determines that a resident and or their household member's actions indicate that their continued presence in University Housing poses an imminent danger to persons or property, the Associate Director for Housing Student Conduct or designee may take emergency action by serving the resident with a notice to vacate the building immediately and not return, pending further investigation and appropriate conflict resolution process. University Housing reserves the right to change the locking devices on resident room /apartment doors and/or residence hall outer doors in order to enforce this action. Once notified of an incident that potentially poses imminent harm or danger, Housing Staff will assess the situation to determine whether emergency removal is warranted. If emergency removal is appropriate, student and/or student’s guests will be asked to vacate the building immediately and not return unless escorted by a Housing staff member until a conflict resolution process can be held. Resident and/or household members may have their access to University Housing owned/operated properties limited during this interim period. During the emergency removal period, resident and/or household members may not return until a process takes place to determine that they can return. This process may be facilitated by University Housing or the Office of Student Conflict Resolution. The contract holder will be notified of the nature of the information report and the disposition of the situation (recommended for mediation, retained in the housing or referred to OSCR). Every effort will be made to notify the contract holder within 10 working days of receipt of the report. The contract holder will be requested to meet at a specific time and place with the appropriate staff member regarding the alleged violations. The request may come in any of a variety of forms, including e-mail, a phone call or a letter. Failure to respond to the request does not stop the conflict resolution process from going forward. The case will be resolved in the contract holder's absence if there is no response to the request. Should the contract holder have a concern regarding the fairness of the arbitration officer, a request for a new arbitration officer may be made within 24 hours of receiving the request for a meeting described above. The request for a change of arbitration officer should be directed to HSCRprocess@umich.edu and should include the rationale for requesting the change.